Most of us use them every day, the thin plastic bags used by almost every retailer we visit. Whether we’re shopping for groceries or the newest Prada, you can almost guarantee that you’ll be leaving the store with a plastic bag stuffed full of your new goodies. Then, when you arrive home? you’ll quickly remove them like a kid opening Christmas presents, tossing aside the wrapping with thoughtless abandon. Have you ever stopped to consider what happens to those plastic bags? Has it ever occurred to you just how many of them we go through, individually, in a year? There are a lot of good ways to celebrate, and the easiest requires a simple resolution on your part. Even if just for one day, choose paper over plastic, or even better bring your own bags to the retailers to pick up your goods. Some stores even offer discounts or other perks for the customers that bring their own! If you own a store yourself, start a program to encourage your customers to bring in their own reusable containers and stop offering plastic bags as an option. 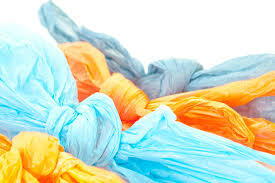 As i heard and read, Australia has banned the use of plastic bags and this has caused rage!! Supermarket staff in Australia have faced abuse and violence from shoppers angry at the removal of plastic bags as a ban comes into force. Customers rebelling against the end of free single-use bags have taken out their frustration on staff, prompting warnings to them to be considerate. In Western Australia, a shopper put his hands around the throat of an employee at Woolworths, which had stopped giving out free plastic bags days before the ban came into force. That is just one of dozens of cases of shop staff being abused as Australia moves to reduce the amount of non-decomposing synthetic materials going into rivers and seas. Saddens me that this is just commemorated on this day…..I feel this should be for everyday.